I’m not sure why I’m so drawn to green lately, but it could be that I’m seeing it everywhere OR that Meghan Markle is wearing it a lot. Either way, I’m not complaining! It’s such a gorgeous color for fall/winter that looks just as fabulous with soft neutrals like beige, as it does with black or brown. 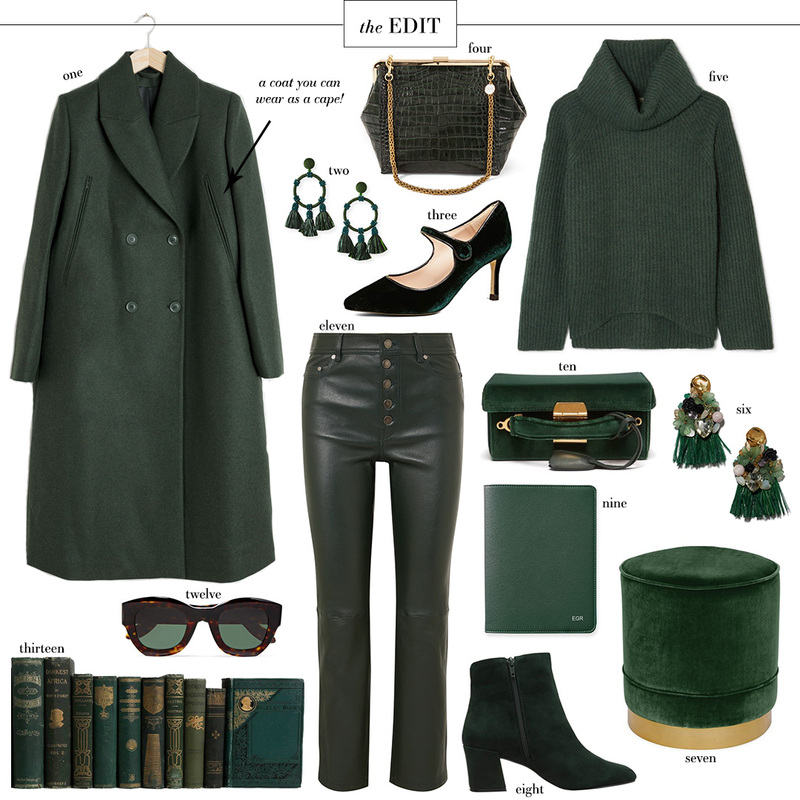 Everyone from high-end designers to fast fashion brands are featuring pieces in this pretty forest green hue. I’ll be sharing a roundup of under $100 favorites later this week, but in this roundup don’t miss this pair of boots. They’re only $80 and such a great way to add a pop of color to your wardrobe this season! PS: I updated THE SHOP yesterday with dozens of new finds in every single tab. Click here to discover what’s new and shop! This color is so gorgeous! I seriously want everything! Ok, obsessed with this color!!! Love all these picks!